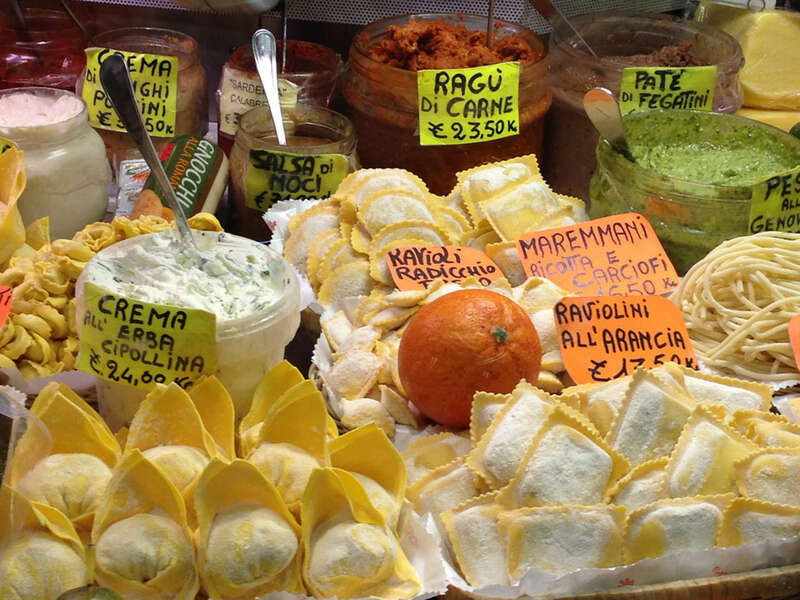 Florence is a feast of the senses, and no other art form engages all five of them like cooking. 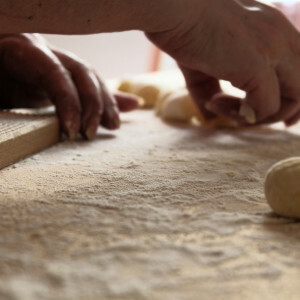 Our Florence Cooking Class, led by a local chef, offers visitors an unparalleled opportunity to delve into local food traditions, and to fully appreciate their historical, social, and cultural components. This half-day experience covers all aspects involved in preparing an unforgettable meal, from selecting fresh products at the market, to a hands-on experience in turning them into meaningful and mouthwatering dishes. 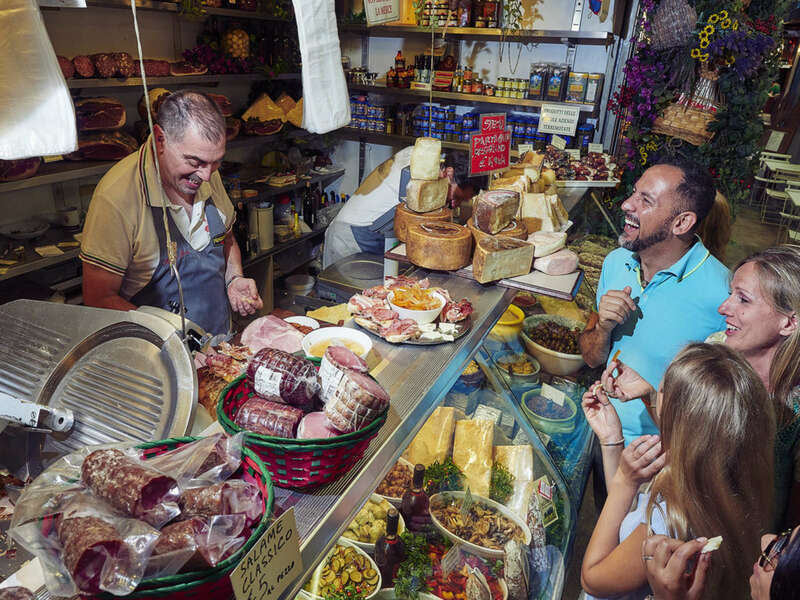 We begin our walk in Piazza Ghiberti, where the St. Ambrogio market takes place every morning in and around a structure dating to 1873. 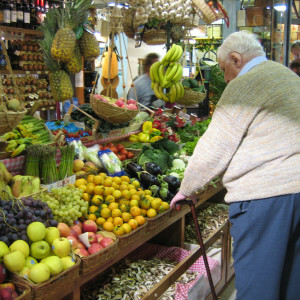 In this authentic setting, we will wade through the local farmers' stalls, familiarizing ourselves with a variety of fresh produce such as seasonal organic fruits, vegetables, and eggs, some of which will be carefully picked to become our lunch ingredients. 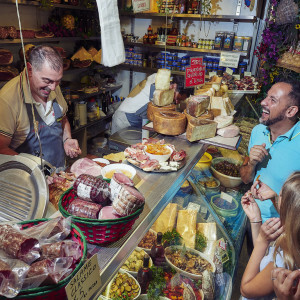 We will also linger over and discuss specialties (cured meats, bread, cheese) that make up the heart of the Florentine and Tuscan gastronomic tradition, such as savory pecorino cheese and lampredotto, a tripe-based peasant dish, usually served in a sandwich. 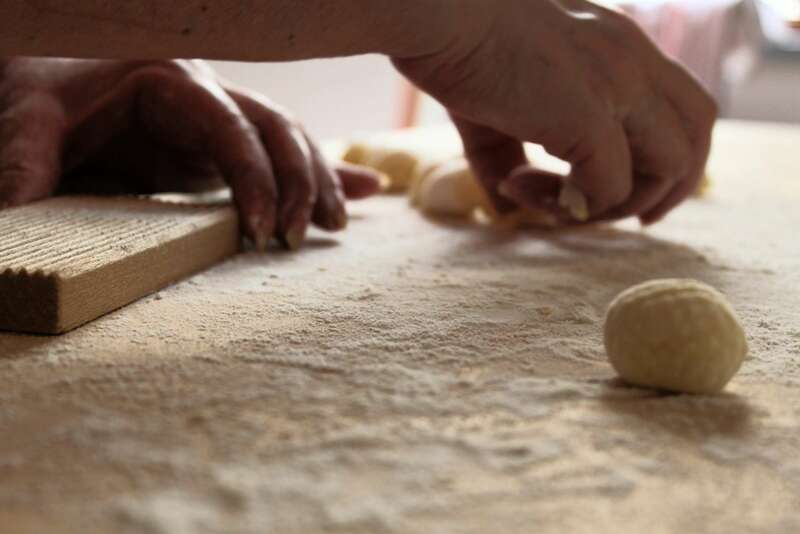 On the second part of the experience, we'll spend about four hours in a Florentine kitchen in a private home where we will learn and savor the basics and the nuances of Tuscan cuisine. Under the expert eyes and directions of our docent, we’ll combine all the ingredients to create scrumptious dishes, which can include fresh tagliatelle pasta made from scratch and topped with a rich sauce, peposo (a delicious peppery stew), and cantuccini (biscuits with almonds, served with wine to dip). By the end of our time together, we’ll be more familiar with the regional food culture and its importance in the social context, and we’ll be carrying back exquisite memories from Florence, in the form of step-by-step simple recipes to recreate at home. Looking to try more bites in Florence? 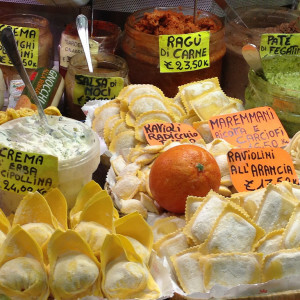 See our Florence Food Tour or Florence Chocolate Tour. Please note any food allergies or intolerances in the Special Requests box or your Travel Notes. The menu can be adjusted according to your preferences (either meat or fish, with different pricing). We are happy to work around dietary restrictions provided we are notified in advance. Can I bring a big group of people with me for this cooking experience? 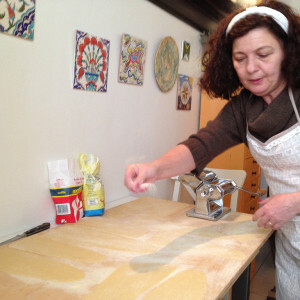 Florence native Patrizia has a degree in Italian Literature from the University of Florence. 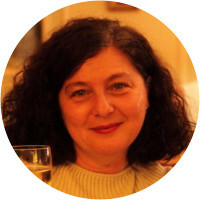 She is a wine and food journalist and has published works on Whisky, Champagne, Spumante, and Vinsanto. 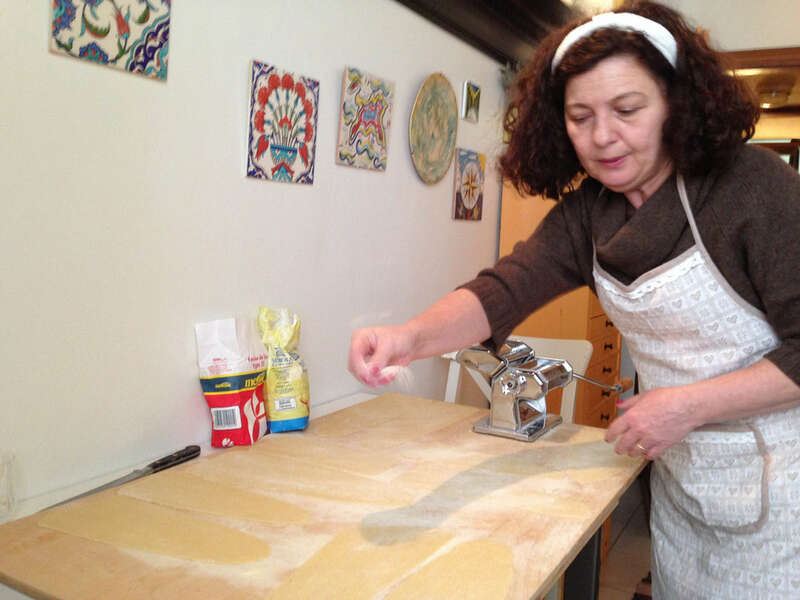 Patrizia has taught cooking classes since 2011 and published her first Italian Cookbook in 2016 "100 Recipes from Tuscany and Emilia Romagna". We thoroughly enjoyed our experience cooking with Patrizia. She was charming and a good hostess. The meal was delicious—a fun experience. Patrizia was so lovely. 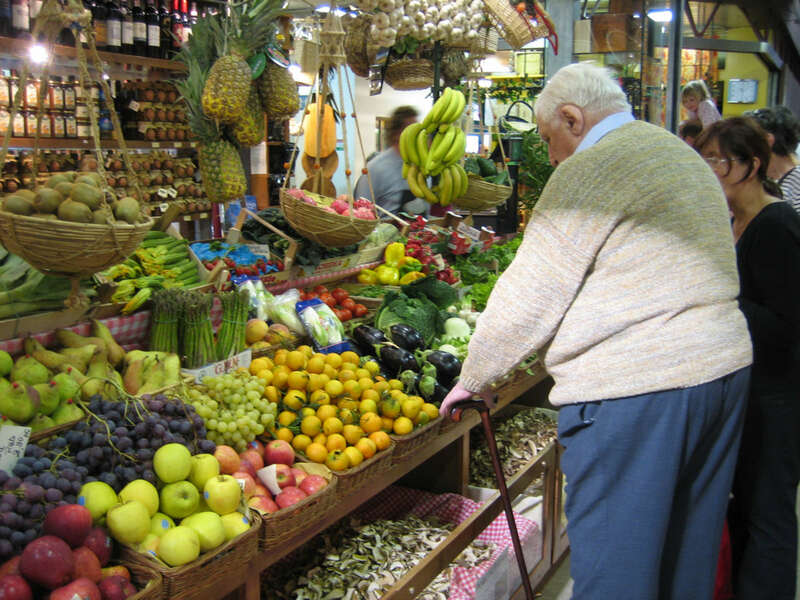 We loved walking around the market with her and learning about all of the local fruits and vegetables we could use in the cooking. We loved walking through the city with her and it was great to go to her home and see how Italians live. She had us make a beautiful 4 course lunch and the kids loved making the pasta. We ate with her and and her college aged daughter and my children loved asking the daughter all about living in Florence and her life. What a treat!